The course is targeted at aspiring and existing Call Centre managers and supervisors who wish to improve their overall Call Centre management knowledge and gain a recognised professional qualification. The course is conducted on a multi-layered sandwich basis with classroom sessions alternating with distance learning assignments over a 12 to 16 week period. As the exam date approaches an increasing proportion of time is spent on exam practice. The programme is delivered by a number of experienced instructors and practicing Call Centre professionals. They use a variety of proven teaching methods, tools and media that make for a genuine multimedia learning experience. These include informative textbooks, instructional software and interesting Call Centre site visits. Distance learning assignments and the associated instructor feedback/guidance are a key component of the programme. 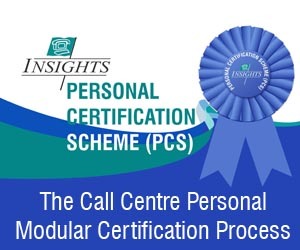 AIM: To impart a broad understanding of the concepts of best practice in developing call centres in particular applicable management principles, processes and practices. To act as a base for the creation of active involvement in, and contribution to, informed decision-making in managing a call centre. To develop the understanding of alternative structures, design, technologies, business rationale and human resource management directly related to an efficient and effective call centre operation. To understand how to design all aspects of a modern call centre, including location, technology alternatives, and building design. To understand and make informed decisions about the advantages and disadvantages of out-sourcing call handling versus in-house. Effective call centre management through the use of appropriate forecasting, budgeting and agent allocation tools. Means of establishing key success factors. An understanding of the elements required to evaluate varying alternatives that impact on key success factors. Understanding the management information required to effectively manage the operation of a call centre. Available techniques to identify specific data required to create useful information for business process optimisation. Identification of essential information required to evaluate the performance of systems, equipment and human resources. Establishment of the tools to provide effective measurement of the business activity. The history, extent and development of basic telecommunications. How call centre topologies have developed and how call centre processing techniques have affected business, commerce and individuals. Technologies available to establish effective predictive dialling, call blending, call recording and resource planning tools. 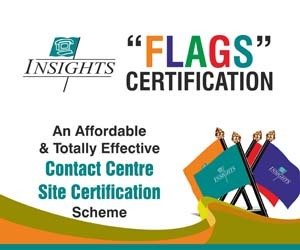 To understand and be able to practically apply marketing principles as they relate to call centre management, with especial reference to customer contact strategy. Assessing customer needs, designing products and services in line with those needs. Understanding of the issues surrounding effective, consistent and timely communication in a call centre environment. Various methods of communication that are available. Establishing an effective, motivational environment that will meet internal and external customer needs by adopting appropriate management techniques. Human resources issues that could affect the management of call centre staff. Establishing an appropriate recruitment strategy. Job specifications and evaluation of a call centre role, and training considerations for both new and existing staff.